Undeniably we live in a world where suffering is overly present & many thousands of children and their families do not have access to safe affordable surgery. However Smile for ME is changing that by providing exceptional surgical care for those that need it most. Our charity organisation aims to make a difference by something as simple as volunteering our time & expertise. And while our days are long and often difficult, we work tirelessly to ensure that each and every child will soon be able to lead healthy, happy & productive lives. We believe that as long as there are children in the Philippines who need our help we will continue to dedicate our time to helping. Why Smile for ME ? Cleft deformities are most common in the developing world, especially in Asian populations. 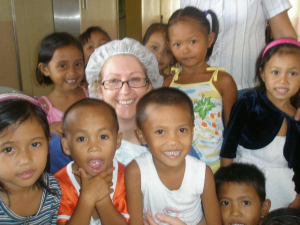 In the Philippines 1-2 in every 1000 children are born with a cleft deformity. 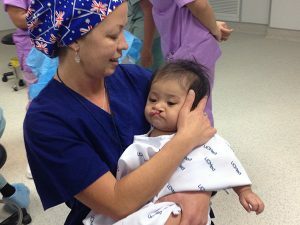 There are not enough Filipino surgeons to be able to meet the demands of a population that is riddled with cleft deformities, & therefore many families turn to foreign medical missions to fill the gaps in their health system. For the best results, the surgeon ideally repairs the cleft lip between the ages 3-6 months. The surgery is performed under a general anaesthetic & involves repairing the lips & nostrils as required to provide symmetry & functionality. Various techniques are used to repair either a unilateral (one sided defect) or bilateral (both sides affected) defect by rotating or advancing the structures of the lip & nostrils. Closing the cleft in the lip can help prevent malnutrition as it allows the children to feed properly. For best results, cleft palate repairs are recommended between the ages of 12-18 months . The surgery involves connecting the muscles of the soft palate & rearranging the tissues to close the cleft in the roof of the mouth. The surgery aims to provide a palate that allows the child to speak properly. Ongoing surgery is often required as facial structures change. Children with cleft deformities often have dental problems. The removal of teeth is often required prior to surgery to allow for the surgery to close the cleft.